The most obvious sources of protein come from meat. However, if you are a vegetarian or vegan or on a diet, a chicken breast or slice of roast beef may not be the best option! Fortunately, many vegetables with protein exist, so you can get your daily amount of protein from a wide variety of alternative options. The U.S. Food and Drug Administration (FDA) recommend that adults, on average, get 50 grams of protein a day. This number is based on a 2,000 calorie-per-day diet, so your own individual daily requirements may be different. Still, it is a useful number to use as a baseline, and we’ll be consulting it regularly as we go through some of the best protein-rich vegetables for you to consider. The first is, obviously, the actual protein level per 100 grams of the veggies in question. The second is how much protein a cup’s worth of that vegetable has. Depending on the size and shape of a given vegetable, the cup—a good standard for how much you’ll use in cooking—can be more or less than 100 grams worth. Lastly, there is the protein-to-calorie ratio. This value is how many calories of the vegetable you need to eat in order to get one gram of protein. While no one is going to accuse your greens of being caloric nightmares, this is still a useful value to keep in mind. Now let’s look at some options! Sprouted beans, peas, and lentils all fall under the soybean sprouts category. Approximately 100 grams of these stringy fellows has 13.1 grams of protein in them. One cup (90 grams worth of sprouts) contains about 9.2 grams of protein. The protein-to-calorie ratio is 1 gram of protein per 9.3 calories, which is actually rather efficient compared to the other vegetables we’ll be covering. Like all bean sprouts, soybean sprouts can be steamed, microwaved, or stir fried. They’re handy for whipping up Asian-inspired recipes and mixing into spring rolls, egg rolls, stir-fries, or a variety of soups for extra flavor. Lima beans contain 6.8 grams of protein for every 100 grams. Since lima beans are so compact, one cup contains 170 grams worth of beans for a total of 11.6 grams of protein. For every gram of protein worth of lima beans you eat, you get an extra 18.1 calories as well. Consider boiling lima beans in a vegetable broth as part of making some gourmet hummus at home. There’s also the Mayan method—skillet-roasting lima beans coated in sesame oil and ground pumpkin seeds. Oven-roasting lima beans with lime and cayenne seasoning is quite nice as well. Green peas are separate from the pea sprouts mentioned above. Approximately 100 grams of green peas (the peas, not the shell) gets you 5.4 grams of protein. One cup contains about 145 grams of peas for 7.9 grams of protein. There are 15 calories for every gram of protein. For meals, peas are quite versatile. You can make couscous, mix them into mashed potatoes, or even mash them up alone for a mixed-with-mint pesto. Plus, there’s always eating them straight up as a side dish—or munch on a few frozen ones for a surprisingly refreshing snack. It’s hard to get through any form of discussion on vegetables without mentioning kale. Approximately 100 grams of this leafy green has 4.3 grams of protein. As you might expect, kale is rather hard to fit inside a cup. 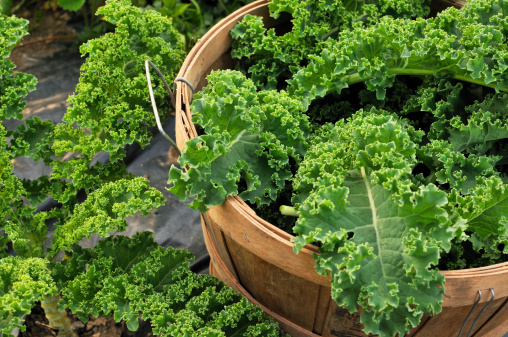 One cup of kale is only 16 grams of the veggie with a tiny 0.7 grams of protein. Every gram of protein comes with 11.4 calories. Like any relative of lettuce, kale makes a good salad or a nice coleslaw ingredient. Mixing in some olive oil and baking gets you crunchy kale chips for an afternoon snack or you can bake it into some mac-and-cheese. The fungus among us has 3.6 grams of protein per every 100 grams. 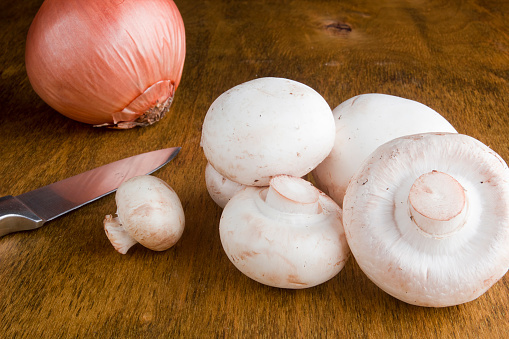 If sliced and put into a cup, you can get about 108 grams of mushroom with 3.9 grams of protein. The protein-to-calorie ratio of mushrooms is actually better than bean sprouts, with 7.2 calories for every gram of protein. Whether sautéed, boiled, stuffed (maybe with some of these other veggies), fried, or grilled, you can make mushrooms work for almost any kind of dish. Yes, sweet corn is technically a grain, but it’s a good source of protein. Sweet corn has 3.3 grams of protein for every 100 grams. One cup provides 145 grams of corn for 4.7 grams of protein. Every gram of protein means you’re getting 26 calories. While not the most efficient protein-to-calorie ratio, sweet corn can still have a useful place in your diet. Whether straight off the cob, stewed, in a soup, or baked into a casserole, you can usually find a good place for this best-fresh vegetable. This means the whole artichoke, by the way, not just the hearts. Approximately 100 grams of artichokes have 3.3 grams of protein. Since cups of artichokes aren’t normally used in cooking, we’ll instead look at the entire thing. An average fully grown artichoke is about 128 grams, which works out to 4.2 grams of protein. Each gram of protein from artichokes also means consuming 14.2 calories. Try steaming, stuffing, or grilling these green pinecones before eating. 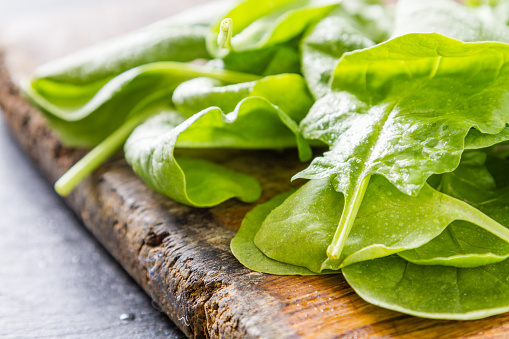 While not as rich in iron as once thought, spinach is still an adequate source of protein. Approximately 100 grams of spinach has 3 grams of protein. One cup has 180 grams of spinach for every 5.3 grams of protein. The caloric efficiency is rather good, with only 7.7 calories per gram of protein. For cooking, spinach can make some rather fancy dishes like quiches or casseroles, or you can mix in some artichokes and whip up a nice dip. The afro-headed vegetable provides 2.8 grams of protein for every 100 grams. 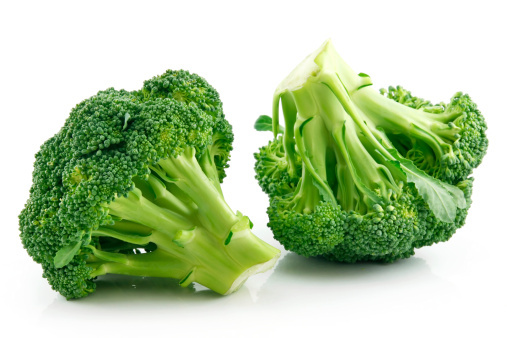 A cup of chopped broccoli provides 91 grams with 2.6 grams of protein. Every gram of protein means 12.1 calories. Like sprouts, broccoli is a good choice for a stir-fry and can also be steamed to make a nice side dish for many entrees. You can also serve it raw with some dip, maybe even some spinach-artichoke dip. Last on our list is cauliflower. Approximately 1.9 grams of protein for every 100 grams, with 2.1 grams of protein in a cup of 107 grams chopped. Protein-calorie ratio is 1 gram per 13.2 grams of cauliflower. Cauliflower has many of the same cooking uses as broccoli, which shouldn’t be too surprising considering their similarities. One use that cauliflower has over its green-headed vegetable friend is that you can make a surprisingly tasty puree that works as a good substitute for mashed potatoes. “27 Vegetables Highest in Protein,” HealthAliciousNess.com, http://www.healthaliciousness.com/articles/vegetables-high-in-protein.php, last accessed July 27, 2015. “Guidance for Industry: A Food Labeling Guide (14. Appendix F: Calculate the Percent Daily Value for the Appropriate Nutrients),” U.S. Food and Drug Administration web site; http://www.fda.gov/Food/GuidanceRegulation/GuidanceDocumentsRegulatoryInformation/LabelingNutrition/ucm064928.htm, last accessed July 27, 2015.